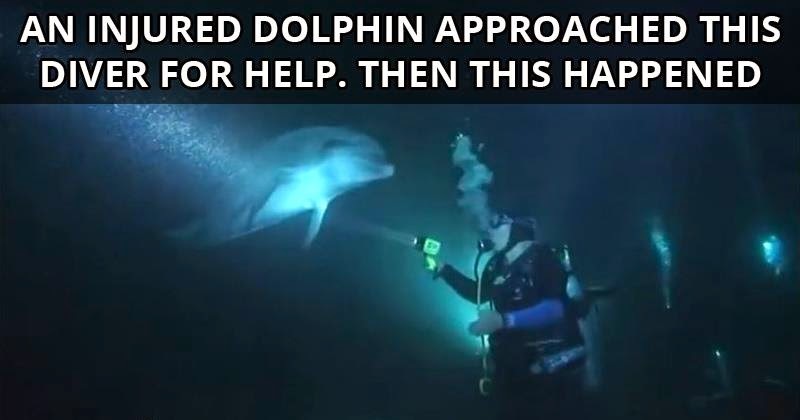 During a night dive last January at Gadren Eel Cove in Kailua-Kona, Hawaii; a bottlenose dolphin caught in a fishing line approached scuba diver Keller Laros for help. The dolphin's left pectoral fin was stuck, wrapped around fishing line with a hook embedded into its body. Laros, who was equipped with scissors, was able to free his fellow mammal and the amazing rescue was caught on film by Martina Wing.